Contact the Gilreath Law Firm, P.A. Businesses and individuals facing complex legal problems turn to attorney James R. Gilreath in Greenville, South Carolina, for experienced and effective legal representation in and out of court. To arrange a consultation with an experienced lawyer about your legal issue, please complete the e-mail form below or call our office at 864-242-4727. Solam Veritatem Petimus "We who labor here seek only the truth." 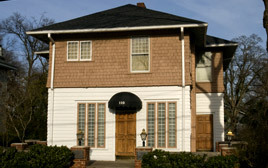 The attorneys of the Gilreath Law Firm, P.A., represent residents of Greenville, Spartanburg, Anderson, Columbia, Rock Hill, Florence, Aiken, Sumter, Charleston and Myrtle Beach, and the Upstate, Midlands, Low Country and Pee Dee regions of South Carolina, as well as residents of North Carolina and clients throughout the U.S.